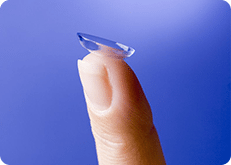 Dr. Toney Optometry prescribes and fits contact lenses for a variety of needs. We provide careful assessment of each patient’s vision, offering thorough and considerate evaluations to determine the best lenses. With over three decades of experience practicing as a smaller optometry office, we are able to give each patient plenty of personal attention, offer helpful advice and even help save money. People choose contacts for a variety of reasons: they work well for playing sports and outdoor activities, they can be more effective than glasses for certain types of vision correction, and they are often chosen for cosmetic reasons. Dr. Toney Optometry helps make sure each patient has the contacts best suited to his or her needs. Whether you’re looking for a contact fitting, prescription or other related service, Dr. Toney Optometry provides experienced, top quality eye care that has kept patients coming back for years. If you have any questions about contact lenses or would like to schedule an appointment, please call (630) 879-1354 today, or complete a short form, and we will get back to you shortly. Dr. Toney Optometry of provides family eye care, prescription contact lenses and contact lens fittings. Serving patients in Batavia, St. Charles, Geneva, West Chicago, North Aurora, Warrenville, La Fox & Sugar Grove, IL and surrounding cities.